Update : Version 1.6-1 released ! IT IS NOW FREE !!! iWhiteBoard is a mobile substrate extension that allows you to draw on any app, even 3D games, YouTube, and live camera images, etc. This app has limitless uses. Just shake to activate it (Activation method is changeable with Activator). Once enabled, you can draw anywhere. Double tap to pick from 4 colors and triple tap to clear. To disable, just press the home button or shake again. Set/change the activation method by using Activator's configuration panel in Settings app. Update : Version 1.2.4 released ! iGO My way 2009 (TM) for the iPhone offers a trendy and entertaining navigation solution at your hands. The software can be easily learned even by first-time users, who have never tried GPS navigation before. On the other hand it offers a rich and valuable set of features and functions that most users demand. Numerous smart functions take individual needs into consideration, helping the driver to use the software more quickly and effectively. IGO My way guides you to any address in Europe with the help of outstanding 3D graphics, clear visual cues and precise voice instructions. - Maps are part of the application, so navigation doesn’t depend on cellular network coverage. No roaming fees, no surprises. It simply works everywhere. - Better data: iGO My way utilizes the best of the breed Navteq maps in Western Europe. A special advantage: our own excellent Eastern European maps cover almost twice as much of the road network than any other solution. - Intelligent, thoughtful user interface with extra large buttons, simple icons, and a truly intuitive menu flow. 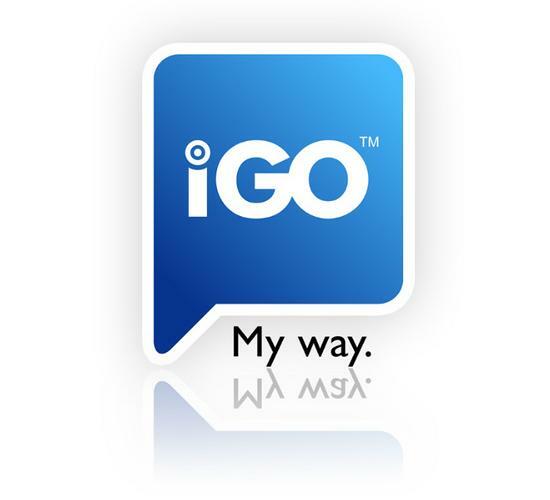 - iGO My way 2009 is quick to use, and easy to learn. The software only contains essential navigation functions. Notified is a new application of ModMyi. This makes Notifications in your OS on your iDevice how you want them. You can edit your Notifications in several groups: SMS, voicemail, push notifications, alerts about your appointment on your calendar and battery warning alert. 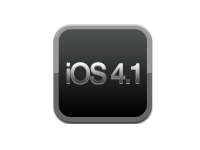 Yesterday, Apple released the new Firmware Version, iOS 4.1 beta for developers. It destroys the Ultrasn0w Unlock 0.93 with the new Baseband Baseband 05.14.01. But the DevTeam found a breach on every firmware, so it's just a question of time until they will Unlock this Version. 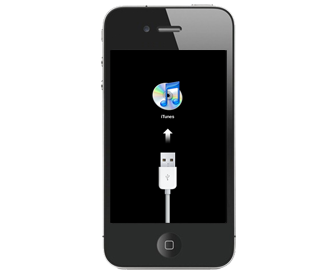 iPhone 3G and iPhone 3GS should NOT upgrade if they want to unlock it later. Update : Version 1.4 released ! Fixed: You can now access the whole list while the keyboard is on the screen. Added option to prevent Autolock. Added option to prevent keyboard popup when starting. ReAdded rapid delete (Touch To Delete). Added ability to save settings, either once or everytime the app quits. New application on the repo of BigBoss on Cydia. Free application which will permit you to create very simply your shopping list ! Update : Version 1.1-1 released ! 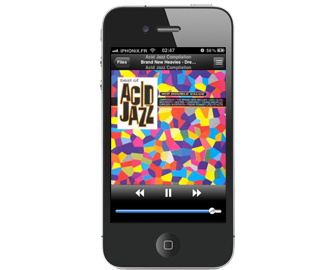 NoAccessorySplash is a new tweak available on Cydia from ModMyi which will permit you to disable the splash screen when you plug your iDevice to accessories. Update : Version 1.2 released ! Fake restore is a free application from ModMyi available on Cydia. 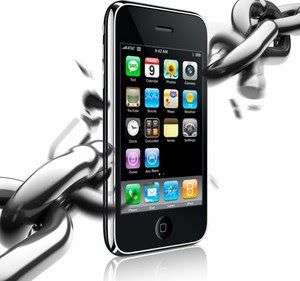 Circumventing Apple's safeguards in order to install unapproved applications on the iPhone is called "jailbreaking," but doing so won't get you landed in the slammer, according to new government rules announced Monday. While some use the practice for deploying rogue apps or for accessing advanced customization settings, others jailbreak their phones so that they can be used on other carriers. Unlocking, say, the iPhone's ties to AT&T has also been determined to be legal, thanks to these rules. In spite of prior ambiguity, the practice was fairly commonplace. T-Mobile USA had activated so many iPhones that the wireless provider began offering technical support for the device. The Copyright Office set several exemptions for a 1998 federal law prohibiting gadget owners from bypassing technical locks companies use to protect products from unauthorized uses. The Library of Congress, which oversees the Copyright Office, conducts the review process every three years. The Electronic Frontier Foundation had urged the government to review these issues. In a response last year, Apple issued a statement arguing why jailbreaking its phones should remain illegal. The new rules also negate any potential legal arguments from Motorola, Samsung or their companion carriers in response to attempts at prying open software on their phones. For example, the operating system on Motorola's Droid X cannot be altered, and Samsung's Captivate can install apps only from the Google and AT&T Marketplace. Although cutting through manufacturers' security measures is now legal, such a move would still violate product warranties set by many companies. So if an iPhone locks down after it has been jailbroken -- "bricking," as it's called -- Apple doesn't have to repair it or provide technical support. "Apple's goal has always been to ensure that our customers have a great experience with their iPhone and we know that jailbreaking can severely degrade the experience," Apple spokeswoman Natalie Harrison said in an e-mail. "As we've said before, the vast majority of customers do not jailbreak their iPhones, as this can violate the warranty and can cause the iPhone to become unstable and not work reliably." About 4 million iPhone and iPod Touch units had been jailbroken as of last August, and were accessing apps from a sort of black-market storefront called Cydia, the marketplace's founder told Wired. The store is a safe haven for many developers that Apple, the gatekeeper to its App Store, has ignored or turned away. Google, which produces a competing smart-phone platform called Android, was one victim of Apple's sometimes ambiguous and much lambasted regulation over the App Store. The Cupertino, Calif., iPhone maker had to respond to an inquiry from the Federal Communications Commission last year regarding why its store would not carry an app called Google Voice. The program lets users reroute phone calls and voice mail through Google's system for perks such as cheaper international call rates and voice-mail transcription. A similar app, not made by Google, that interfaces with the Voice service is for sale through Cydia. Apple Chief Steve Jobs' retort: 95% of the 15,000 apps submitted per week are approved within a week. The new federal exemptions also apply to video games, allowing players to break measures to investigate or fix security flaws. Additionally, educators can circumvent copy-protection on DVDs for noncommercial purposes; computer owners may bypass security dongles when they break and cannot be replaced; and blind people may break digital locks on e-books to access read-aloud software. Autolock SBSettings is a free application from BigBoss on Cydia. Toggle for SBSettings which will permit you to enable/disable the automatic lock of your Lockscreen. 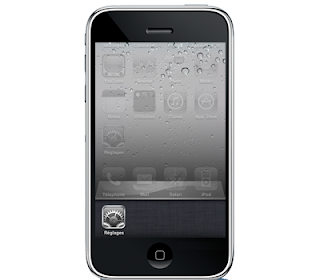 Transparent Status Bar iOS4 is a new application ModMyi on Cydia. 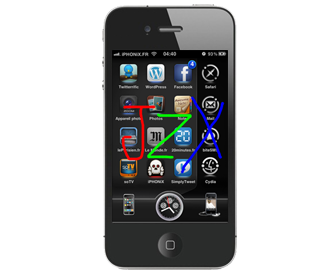 Mod for Winterboard which will permit you to customize your statusbar with iOS 4x. 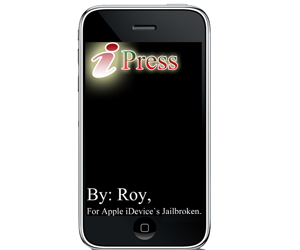 iPress is a new application from BigBoss on Cydia. A little game with which you must be as fast as possible to click on your screen in 10 seconds! Update : Version 1.1-1 released ! Crack is out ! *Added a non-obtrusive bar with [return] and [refresh] buttons. * Custom Tab Save State: iGoogler will now save your changes in the tab bar. All changes in the tab order will now be saved and restored upon relaunch. Update : Version 1.05 released ! ShakeToUnlock is a tweak which will permit you to unlock your iDevice when your Lockscreen is Off, same as iShakeLock, but with an option to set up the sensitivity avoiding then an accidental unlock. Update : Version 1.1 released ! Crack is out ! * Wiimote support with classic controller support through BTStack (btstack is required). * Multiplayer on one device by using multiple wiimotes. * Built in browser (no need to manually upload your ROMs). * Achievements - a nice twist for added replay value. 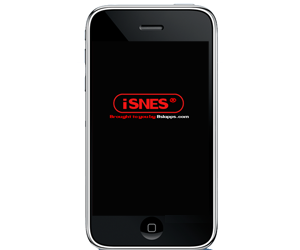 * Runs well on IPhone 3G/iPod Touch 2 and excellenty on IPhone 3GS and above. * Landscape and portrait modes. * Multiple skins and save states. [News] Is GeoHot ready to release Jailbreak for iOS 4 ? A very curious post on Twitter is leading some to believe that a jailbreak release is imminent from Geohot. If so, the move would come as quite a surprise given the great fanfare that recently surrounded Geohot's alleged and self-proclaimed "retirement" from the jailbreak community - a move that saw Geohot cancel his Twitter account, set his blog to private, and assign good friend Mike Cohenn as his proxy, noting that all future messages would come through Mike. [News] Comex will NOT wait for iOS 4.1 to release Jailbreak !! Some news from Comex, the Dev of Spirit. From his twitter, he told that he won't wait for iOS 4.1 to be released to post his new Jailbreak Tool !!! 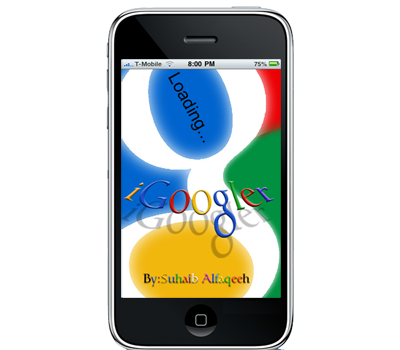 After the tweak Features 1.0 (for iPod 2G), here is the one for iPhone 3G only! 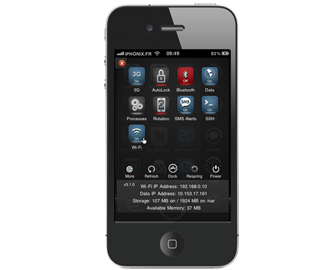 Features 1.0 is a free application from ModMyi on Cydia. 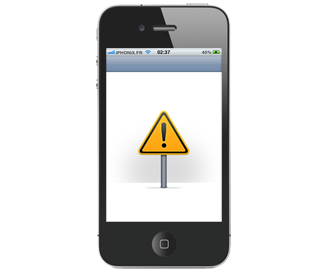 It will permit you to enable/disable quickly the new features of iOS 4.